Professors emeriti Francis Chen, Leonard Kleinrock and Antony Orme have been selected to receive the 2015 Edward A. Dickson Emeritus Professorship Award, which includes a prize of $5,000. Honoring outstanding research, scholarly work, teaching, and service performed by an emeritus or emerita professor since retirement, the award is funded from a gift endowment established by the late Edward A. Dickson, a regent of the University of California from 1913 to 1946. 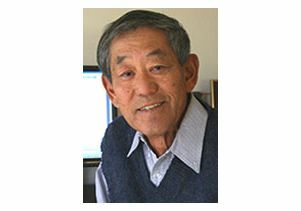 Chen, professor of electrical engineering in the UCLA Henry Samueli School of Engineering and Applied Science, has continued to conduct research at an exceptional level after formally retiring in 1995. Since retirement, his research has focused on the physics of low-temperature plasmas, work which has been crucial for advancing the state-of-the-art in semiconductor circuit manufacturing. His publication record in retirement would be the envy of most active faculty, with more than 55 peer-reviewed journal papers, five book/book chapters, and over 10 conference papers. In addition to teaching regular technical seminars, Chen was instrumental in developing a course on plasma processing for the chemical engineering department. He continues to serve on Ph.D. committees and directly advise five graduate students. A lifelong educator and scholar, he also presents lunchtime talks on his travels and bird-watching that are well-attended by faculty and staff. 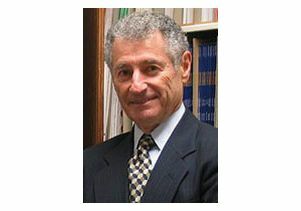 Kleinrock joined UCLA Engineering’s computer science department in 1963 and retired, formally, in 1994. He is credited with being one of the “founding fathers” of the Internet. He developed the mathematical theory of packet networks, the technology underpinning the Internet, and he and his team pioneered groundbreaking protocols that would later become the foundation of modern wireless networks. 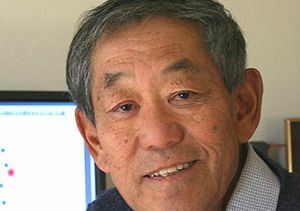 Since his retirement, he has continued to receive generous research grant and contract support, contributed to building UCLA’s reputation for wireless communication development, launched several commercial ventures, and even chaired his department. In this period, he has published 70 research papers and has received numerous honors, including the prestigious Presidential Medal of Honor in 2006. Orme, professor of geography and a member of the UCLA Institute of the Environment and Sustainability, has been at UCLA since 1968 and retired in 2010. After receiving his Ph.D. in geography from the University of Birmingham in England, he joined UCLA’s Department of Geography, going on to serve as department chair and then dean of Social Sciences in the UCLA College. His scholarly contributions have continued unabated since retirement. In addition, he was instrumental in rescuing the important UC White Mountain Research Center in the Owens Valley from financial insolvency and closure. After heading the committee that analyzed the center’s problems, he received the unsolicited appointment as its director. Under his guidance, the center has been modernized and refurbished and placed on sound financial footing, making it highly respected research site. 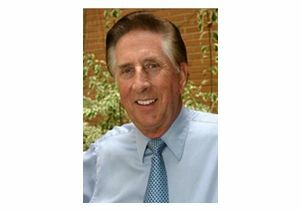 The Dickson Emeritus Professorship Awards will be presented at the UCLA Emeriti Association dinner on Wednesday, May 13 at the Faculty Center. Leonard Kleinrock, distinguished professor of computer science.